Here's something new that I have been testing out for a couple of weeks now. 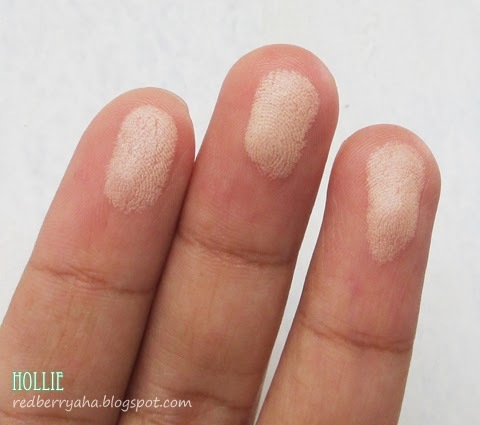 The shade Natural Beige is two shades lighter than my skin tone, but I love using this to highlight certain areas. 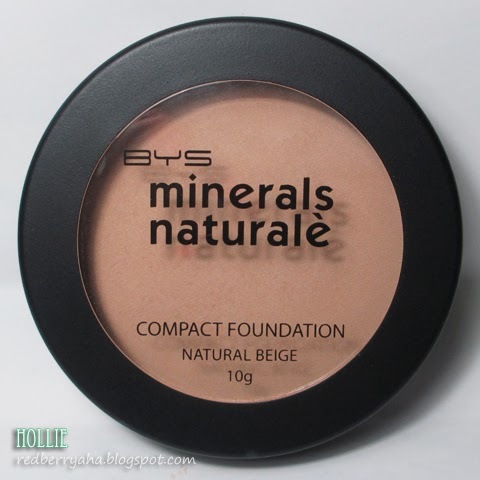 BYS Minerals Naturalè Compact Powder Foundation is formulated with 100% Natural Minerals. 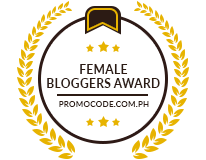 It is a non-irritating formula suitable for all skin types & won’t clog your pores. 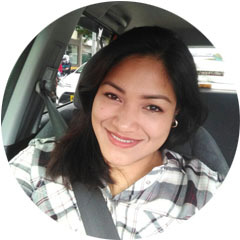 It offers you full coverage with a natural, lightweight finish. Like all BYS Cosmetics products, this has a black plastic packaging too. This compact does not come with a mirror or sponge, which makes it very lightweight. Here are the ingredients. 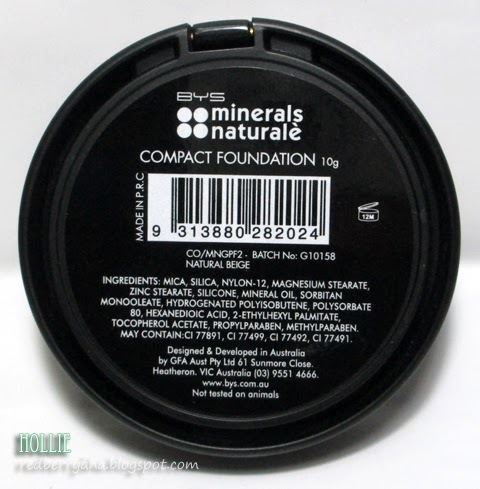 If you notice, this contains mostly of mineral makeup, which is a good thing since it is safe for your skin. The texture feels very soft, smooth and silky. This does not have a completely matte finish but has slight sheen to it, which gives a natural glow to my face. It feels rather light and gives a light to medium coverage. It stayed for a good 5 hours on my face before it started to fade. I have normal skin and I work in an air conditioned environment, so I am not sure how long this will last on other skin types. 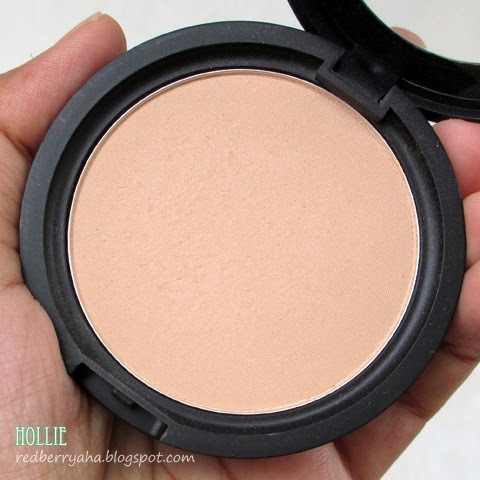 Overall, I do like this powder compact. I just wish it didn't have have that strong scent. 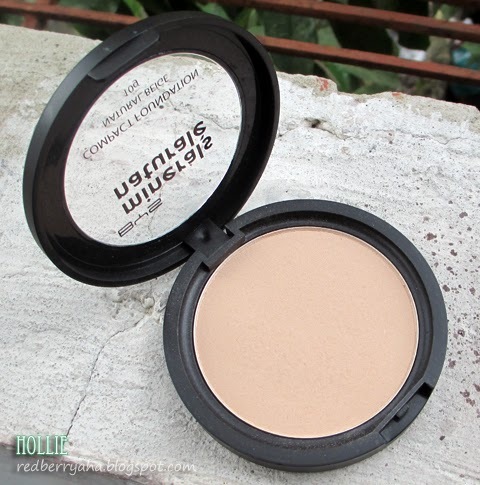 But quality wise, this is surprisingly a really good sheer powder with great oil control. If you are not bothered by cosmetic scents, then I suggest you try this. However, I would not recommend this to those with troubled skin.